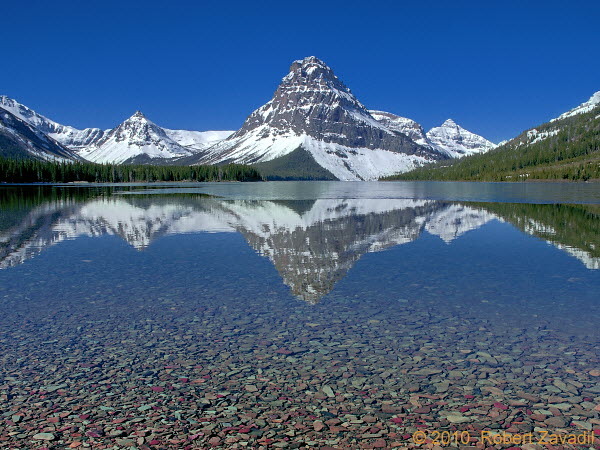 Two Medicine Lake reflects the image of Mount Sinopah in Glacier National Park. The Two Medicine area was the gathering for religious ceremonies by the Blackfoot nation. Sinopah dervies its name from the Blackfoot name Sinopa, the word for kit (prairie) fox.